Transfer your skills. Open the door to a whole world of career possibilities. As a leader in biotechnology, Canada needs professionals with the skills and talent to help drive innovation across a wide range of science-driven subsectors—from bioenergy and life sciences to nanotechnology and aquaculture. As more sectors of the economy rely on biotechnology, the need for skilled workers is growing in academic institutions, industry and government. With your experience you could work in a research or manufacturing, in an area of science like genomics or a key business role like marketing. Apply your skills in the commercialization side of biotechnology: intellectual property, regulatory affairs, quality assurance and management expertise are all in high demand. While the bio-economy is well regulated, jobs in the sector do not necessarily require licensing or certification—meaning your skills can open up a whole range of career opportunities. Your experience can lead to a fulfilling career in the bio-economy. Whether you are pursuing your professional certification or looking for new career opportunities, the bio-economy offers great benefits—the chance to use your skills and earn a living doing so. However, experience in the biotechnology field will not necessarily help you earn your certification or licensure in your current profession. Explore detailed Skills Profiles and Skills At-a-Glance to find out how your skills match up against occupations in the bio-economy. Review Bio-economy Career Profiles interviews to find out what it is like to work in Canada’s bio-economy. Research a variety of Career Pathways. See the skills in demand and employment trends in our latest Labour Market Information. 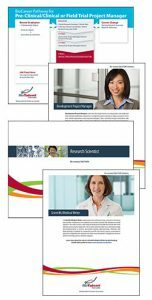 Build a biotech specific resumé. Search job opportunities through The PetriDish™ job board. Identify your transferable skills and have them recognized through the BioSkills Recognition Program.